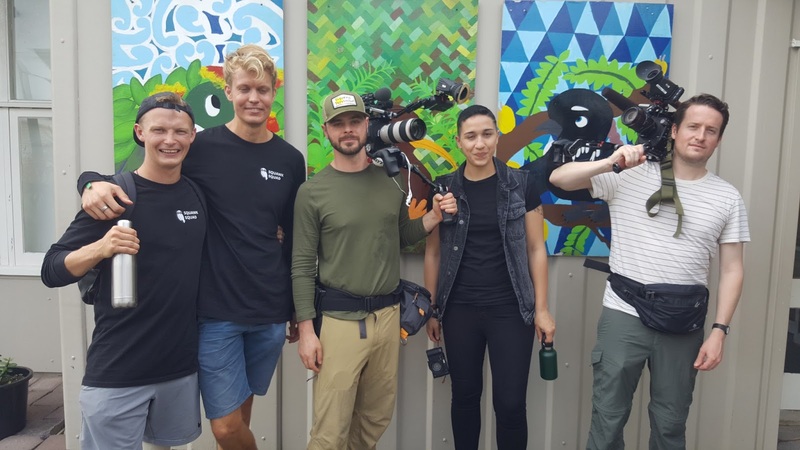 In Week 3 Conservation Correspondent Arielle Duhaime-Ross, along with a film crew from HBO, flew from New York to investigate New Zealand's groundbreaking Pestfree 2050 project. 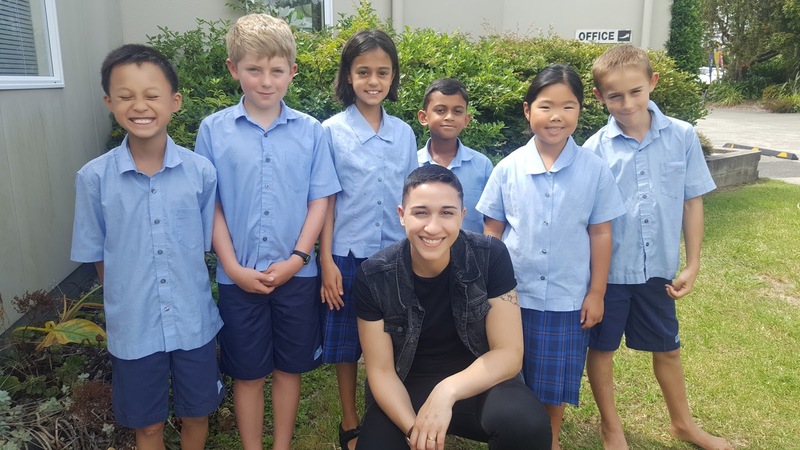 They visited Sunnyhills to see the part NZ schools & students are playing in trapping invasive pests. The story aired in the USA on HBO News Tonight and is online through Vice News and Youtube. Since its release it has sparked debate. Where do you stand on the issues? Should we be killing invasive mammals? Should NZ children be educated about the effect of pests and involved in trapping? Traps vs bait ...comment below! The Squawk Squad, Arielle and film crew. Room 6 checking and resetting traps today. Arielle and her Sunnyhills tour guides. She was blown away by their enthusiasm for conservation and knowledge. What a fabulous opportunity to educate the public about the effect of invasive pests on our native population. While it is sad to kill any creature the alternative is unthinkable - the loss of more of our beautiful native animals. I am very proud of all of you. Lets hope that this and other measures put in by DOC protect our threatened native animals. I believe that we are doing our part at Sunnyhills in the wider national wide strategy Predator Free 2050 run by the Dept. of Conversation. 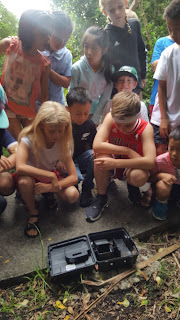 Recently, I heard from the Auckland Council, Sustainable Schools team that the Howick region is the best region in Auckland for supporting the trapping of predators. 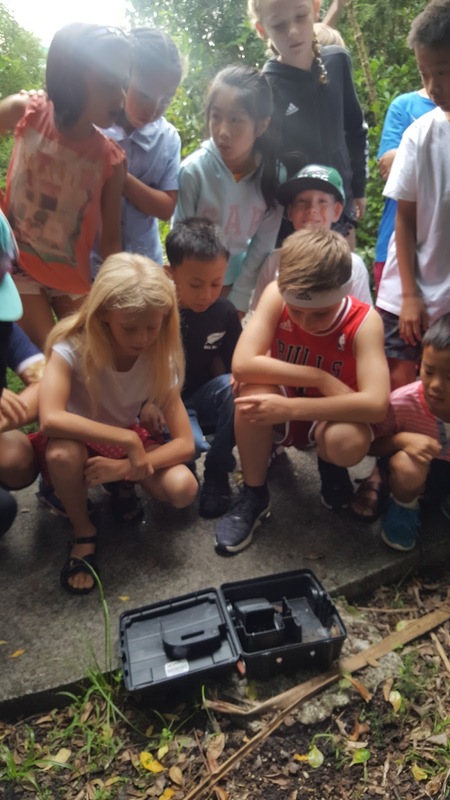 Our learners know that our work and their monitoring of traps, while kills these pests at the same time goes a long way to helping preserve the habit of our native species. I understand that some members of society may not agree with our stance, however at Sunnyhills I believe we are educating our learners about the wider issues and responsibility we have to help our native species. PLUS, we must remember this is just one part of our amazing environmental sustainable schools programme offered at Sunnyhills. Mrs Daniel you do a great job facilitating this knowledge building with our learners! Thank you. There are a small number of people who react this [negative] way and they’re entitled to their opinion, just as you are. Other schools, landowners and community groups have experienced this view too in other parts of the country. You are not creating a killing rampage (this would be a significant overstatement), but rather taking action locally to play your part, as are so many other communities and schools throughout NZ. As we’ve said previously, NZ’s biodiversity is in decline due to the impacts of pests and particularly the impacts of predators - the national Predator Free 2050 and Pest Free Auckland programmes are a response to this. What we are teaching all generations about is that if we all do nothing now, we will loose species within our lifetime, including iconic and endemic species. There are numerous interventions that can be made to restore our biodiversity but the intervention that a has the greatest benefit is predator control; hence our programme. If pests aren’t killed, pest density and impacts will continue to increase even if they are “pushed out” to other others - ie, make it some-one else’s problem. Conservation management is different in other countries as they have different species, ecosystems, issues and challenges. Now is the time to tackle the impacts of pests before it’s too late and we lose species on our watch - and the increasing groundswell of action by landowners and communities around the country is demonstrating that people agree.